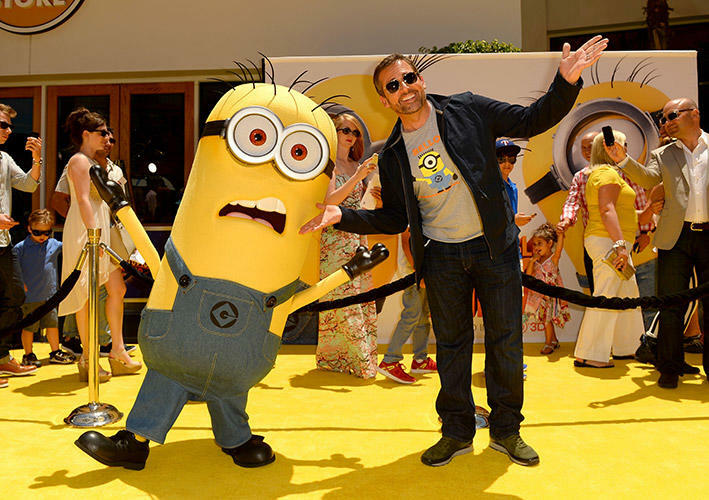 Steve Carell at the premiere of "Despicable Me 2" in Universal City, CA. 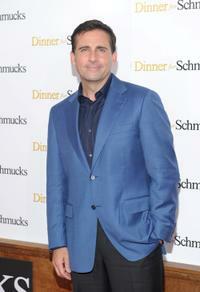 Steve Carell at the New York premiere of "Dinner For Schmucks." 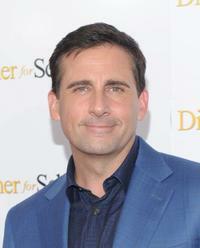 Steve Carell at the California premiere of "Despicable Me." Steve Carell and Director Peter Segal on the set of "Get Smart." Steve Carell and Emily Blunt in "Dan in Real Life." 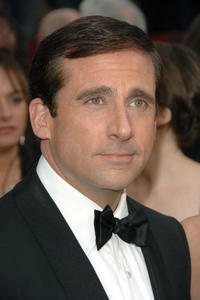 "Dan in Real Life" star Steve Carell at the Hollywood premiere. Steve Carell, Juliette Binoche and Dane Cook in "Dan in Real Life." 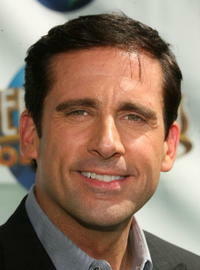 Steve Carell in "Evan Almighty." 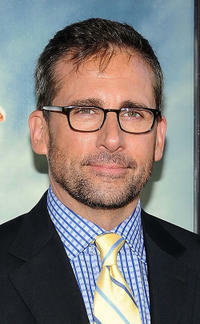 Actor Steve Carell at the L.A. premiere of "Horton Hears A Who." 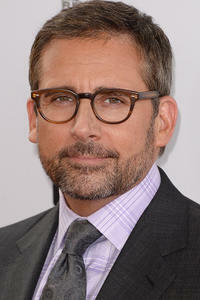 Steve Carell at the 2013 Los Angeles Film Festival premiere of "The Way, Way Back." 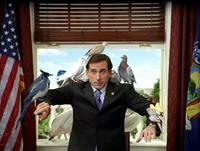 Steve Carell in "Dinner for Schmucks." 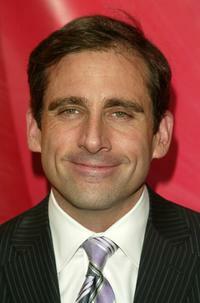 Steve Carell in "Dan in Real Life." 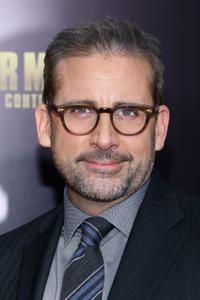 Steve Carell at the World premiere of "Get Smart." 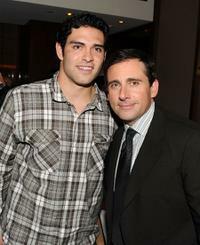 Steve Carrell and Dane Cook in "Dan in Real Life." Steve Carell, Juliette Binoche and director Peter Hedges on the set of "Dan in Real Life." Amy Ryan, Steve Carell, Norbert Leo Butz and Jessica Hecht in "Dan in Real Life." Anne Hathaway and Steve Carrell in "Get Smart." 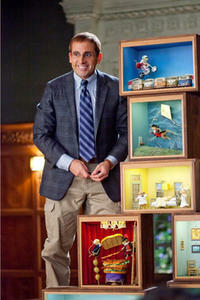 Steve Carell as Barry in "Dinner for Schmucks." 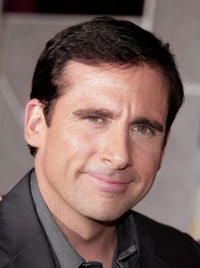 Steve Carell as Maxwell Smart in "Get Smart." 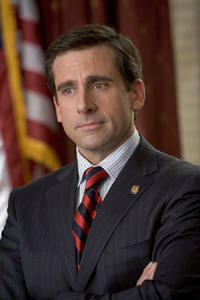 Steve Carrell in "Get Smart." Steve Carrell and Anne Hathaway in "Get Smart." Steve Carell and Alison Pill in "Dan in Real Life." Steve Carell and Juliette Binoche in "Dan in Real Life." 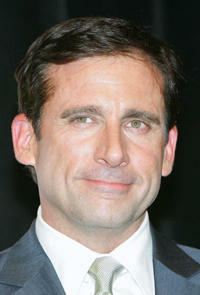 Steve Carell at the 64th Annual Golden Globe Awards in Beverly Hills. 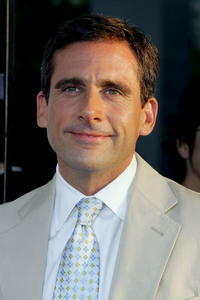 Steve Carell at the 79th Annual Academy Awards in Hollywood. 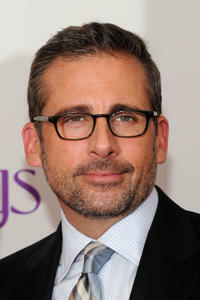 Steve Carell at the 7th Annual AFI Awards luncheon in L.A.
Steve Carell at the Universal City premiere of "Evan Almighty." 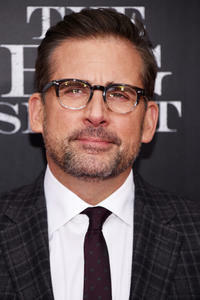 Steve Carell at the 59th annual Directors Guild Of America Awards in L.A.
Steve Carell at the Paris Las Vegas during ShoWest. 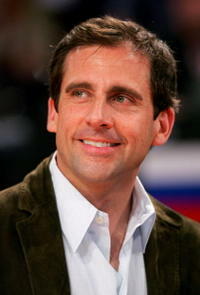 Steve Carell watches the 2007 NBA All Star Game on February 18, 2007 at Thomas & Mack Center in Las Vegas, Nevada. 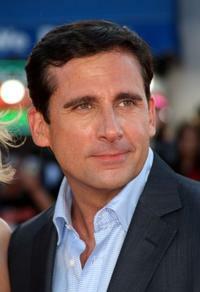 Steve Carell at the L.A. premiere of "Evan Almighty." 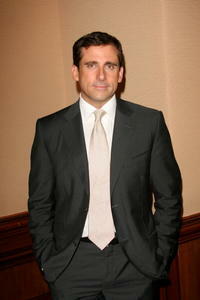 Steve Carell at the cocktail reception for the 2006 Summer TCA Awards in California. 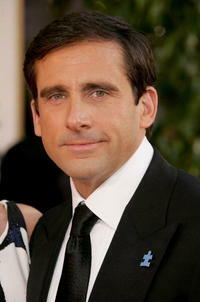 Steve Carell at the 78th Annual Academy Awards in Hollywood. Steve Carell at the NBC Primetime Preview 2006-2007 in N.Y.
Steve Carell and wife Nancy Walls at the 63rd Annual Golden Globe Awards in Beverly Hills. 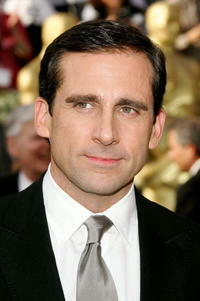 Steve Carell at the Hollywood premiere of "The 40 Year-Old Virgin." 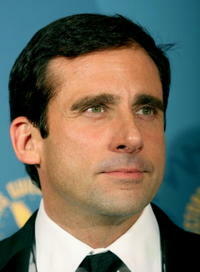 Steve Carell in "Anchorman 2: The Legend Continues." 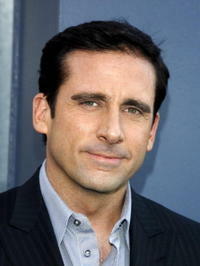 Steve Carell as Cal Weaver in "Crazy, Stupid, Love." Steve Carell as Maxwell Smart and Anne Hathaway as Agent 99 in "Get Smart." 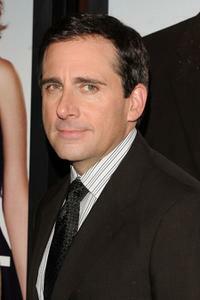 Steve Carell for the NBC upfront at Radio City Music Hall. 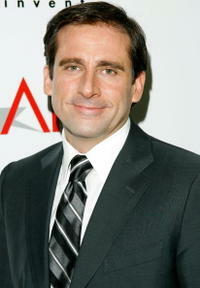 Steve Carell at the AFI Awards Luncheon. 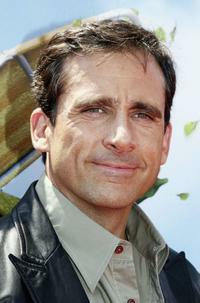 Steve Carell at the Los Angeles premiere of "Over The Hedge." 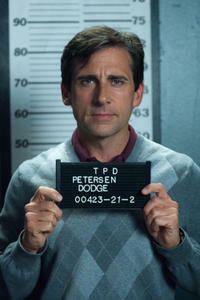 Steve Carell on the set of "Despicable Me." 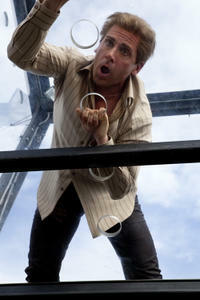 Steve Carell as Cal Weaver and Analeigh Tipton as Jessica in "Crazy, Stupid, Love." 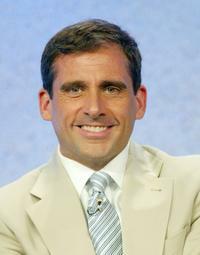 Steve Carell as Burt Wonderstone in "The Incredible Burt Wonderstone." 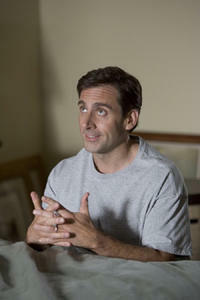 Steve Carell as Therapist Dr. Bernard Feld in "Hope Springs." 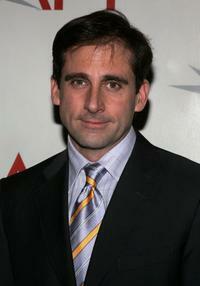 Steve Carell at the NBC 2005 Television Critics Winter Press Tour. 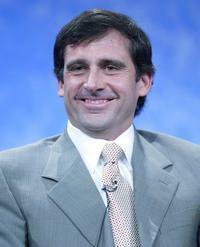 Steve Carell at the panel discussion for "The Office" during the NBC 2005 Television Critics Association Summer Press Tour. 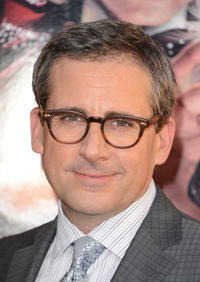 Steve Carell at the California premiere of "Seeking A Friend For The End Of The World." 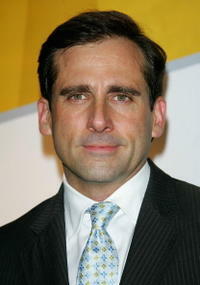 Steve Carell at the California premiere of "The Incredible Burt Wonderstone." Steve Carrell at the New York premiere of "The Big Short." 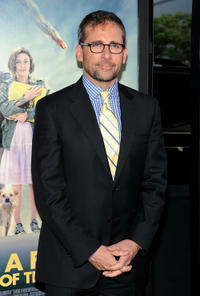 Steve Carell at the New York premiere of "Hope Springs." 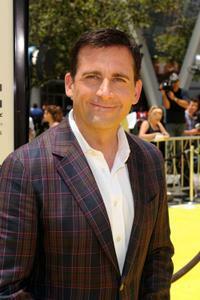 Steve Carell at the New York premiere of "Anchorman 2: The Legend Continues."